TAKE A STROLL THROUGH THE ARCHITECTURE OF DALLAS. Join us for one of three Saturday morning tours. AD EX offers three regular walking tours that explore the breadth of Dallas’ architecture from its founding in the 1840’s to today. 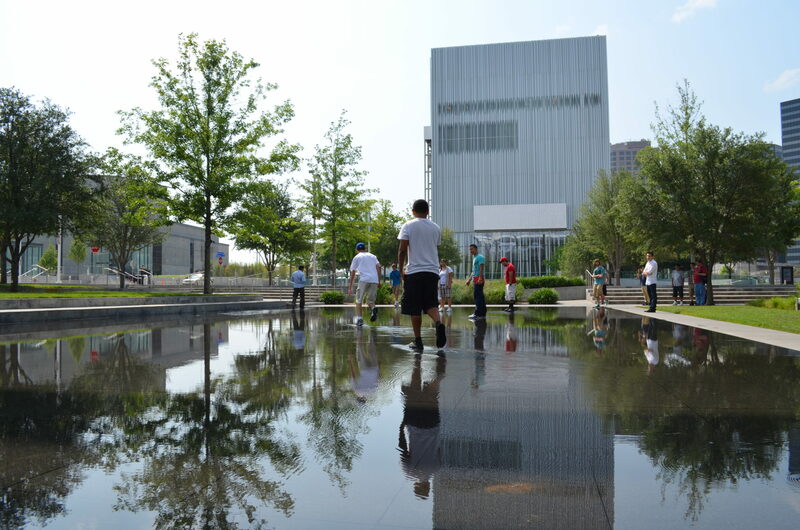 The Arts District tour, a 90 minute walk through the largest urban arts district in the country, examines the historic buildings remaining from one of the most vibrant freedman’s towns in Texas as well as the contemporary architecture of Dallas architects and four Pritzker Prize laureates. It is offered on the first and third Thursday of the month. For more information, click here. The Main Street District Tour is offered on the second and fourth Saturdays of the month and takes a look at the main commercial district of the city and its variety of architectural styles. You’ll learn about the growth of Dallas and how that growth affected the architecture of downtown. For more information, click here. The West End is the birthplace of Dallas and became its first commercial historic district in 1975. You’ll explore how the railroads made the city a vital commercial center and see the buildings that have been the hub of county government for more than a century. For more information, click here. Arrangements can be made for private tours at times not regularly scheduled (subject to docent availability). The charge is $10 per person and $5 for students. The minimum charge for a private tour is $100. E-mail info@DallasADEX.org for more information. Register for a walking tour. For a full schedule of all our tours and programs, visit our calendar page.